Engage in the true spirit of celebration with this Generous Gift Basket of Festive Assortments that instantly uplifts the mood. This beautiful Diwali Hamper will deliver warmest wishes to your loved ones as it is featured with Five pc. Nestle Kitkat, Two pc. 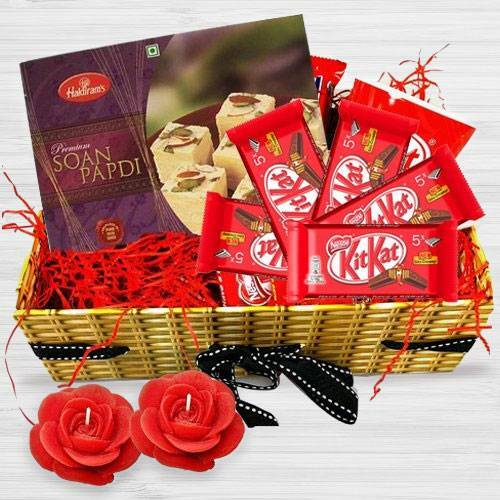 Candles and toothsome Haldirams Soan Papdi pack of 200 Gm, all beautifully arranged in a Basket.